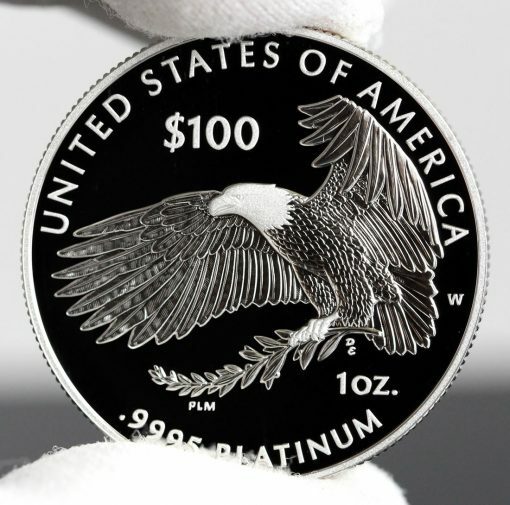 This article presents photos of a United States Mint’s 2018-W $100 Proof American Platinum Eagle. Released on Jan. 25, the 1-ounce .9995 fine platinum coin is the first release in a three-year Preamble to the Declaration of Independence Series that celebrates the unalienable rights of Life, Liberty and the pursuit of Happiness. 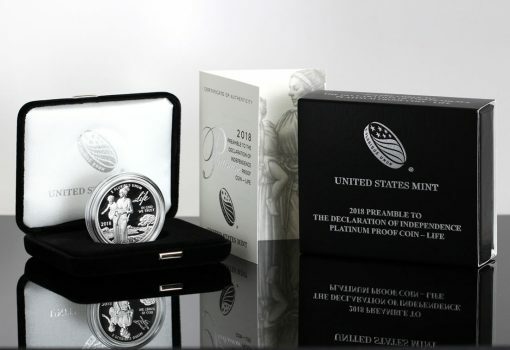 The new series is a continuation of the U.S. Mint’s American Platinum Eagle program that launched in 1997 with proofs featuring annually changing designs. Until this year, the coins had varying obverses and a common reverse. Switching it around, coins in 2018, 2019 and 2020 have unique obverse designs and the same eagle-in-flight reverse design. Created by Justin Kunz and sculpted by Phebe Hemphill, this year’s obverse features "Life" personified by Lady Liberty teaching a small child to sow seeds in a field. In the background are mountains, a river running through fields and a large tree — all symbolizing life. The word "Life" is written in script in the field by Liberty’s shoulder. 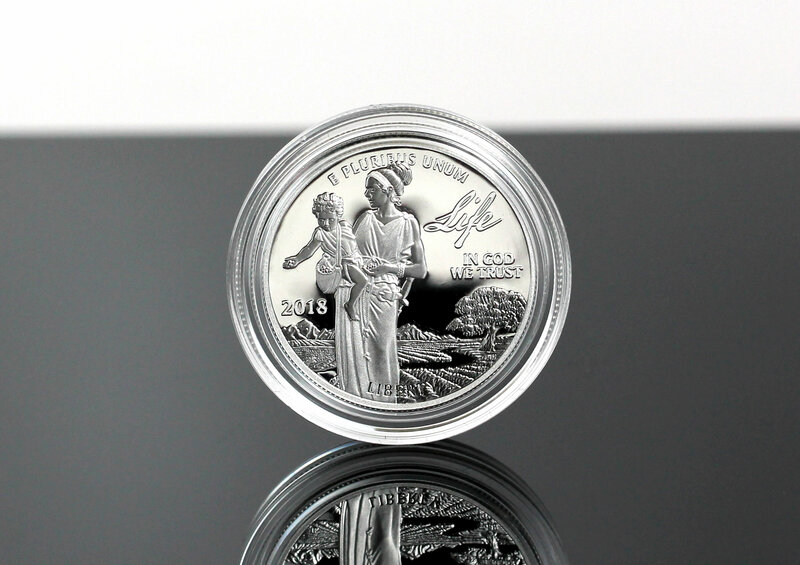 Proof coins are minted for coin collectors and as the above photo shows they feature sharp design detail, frosted foregrounds, and mirror-like backgrounds. Kunz also designed the obverses in the upcoming 2019 "Liberty" and the 2020 "Happiness" coins. 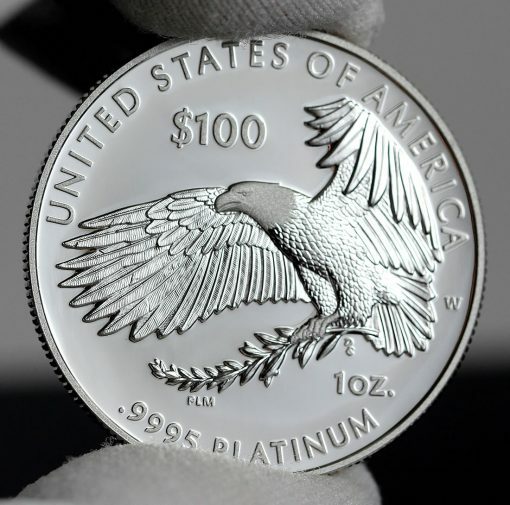 Proof Platinum Eagles reverses for the next three years show an eagle in flight with an olive branch in its talons. Patricia Morris created the design and Don Everhart sculpted it. The West Point Mint strikes all American Platinum Eagles. Proof editions carry the facility’s ‘W’ mintmark on their reverse. Order the proof platinum coin from the United States Mint via this online product page. No more than 20,000 will be sold. It sales through Feb. 5 totaled 8,316 coins. Its price can change weekly depending on the trending value of platinum. It launched at $1,420 but as of this writing is at $1,370. The reverse on this coin is stunning. Job well done. A little unnatural I think. The eagles wings show it is preparing to land but is carrying a branch and not landing on a tree. The bird would normally just drop the branch and keep flying. Hi Jim – I was raised on the West coast / pacific ocean and have watched many a Bald Eagle hunt prey. I have seen many a Eagle drop what they are carrying (stick for a nest) in their talons to engage a food source. They did not drop it until over their prey as not every dive is a guarantee. Truly a sight to behold. Hope one day you get a chance to witness it. Features look like they are enhanced. Have not noticed it before, or at least not as pronounced, in previous proofs. Nicely done, wonder if the Mint will be doing this with more proofs. Question for all. Am I seeing things or is Lady Liberty in fact packing a sword that is partly visible half-way behind her hanging from her belt? If it is indeed a sword that she is carrying I am seriously perplexed as to how that in any way relates to “Life”. Weapons have been used to protect life since the dawn of man. She is in the field with her young child. Surely a knife to protect them from beasts or scoundrals is appropriate. Police use weapons everyday to protect the community. This coin is stunning. Really want to purchase it but a bit out of my current price range. 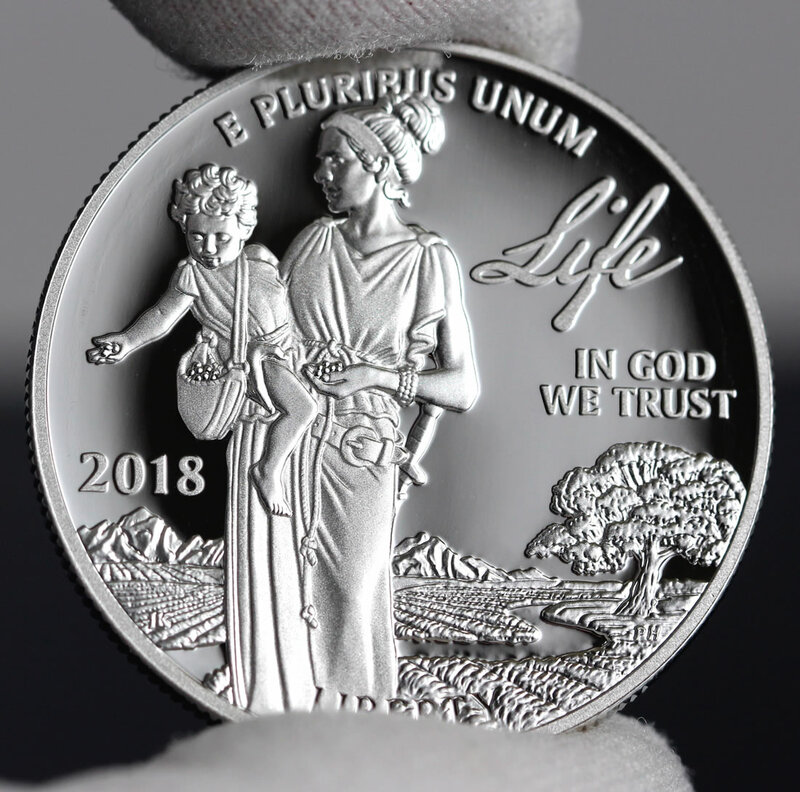 Much more in the spirit of the true origins of Liberty than the hideous rendition and cultural misappropriation of Lady Liberty on the 1/10 oz gold coin. Old Collector – the Obverse of the coin has a very European flavor to it and in my option very appropriate. Early settlers were all of European decent.The sword is a good touch (some what hidden and not a focal point) as I myself carry a knife when hiking in the rocky mountains for safety – needed to protect the life of my son and myself if we ever have the misfortune of coming across a grizzly. 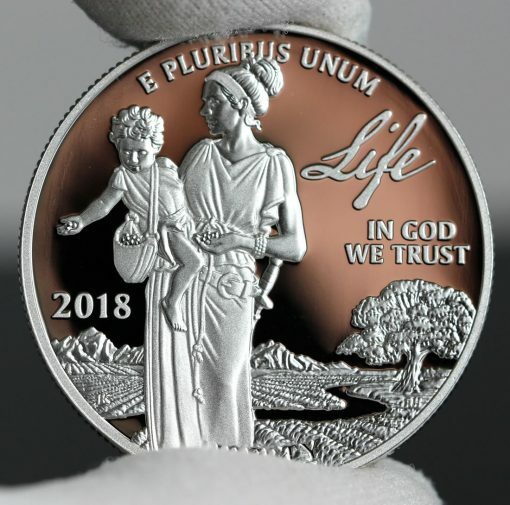 One thing I have learned in this life – ‘never mess with a mama bear” lol and in the case of this coin design – that goes for human as well lol. Now I understand the illustration on the coin much better. At first I was a bit thrown off by the seemingly unwieldy juxtaposition of the very peaceful, bucolic nature of the surrounding scenery and the surprising presence of an instrument of violence. However, after reading your viewpoints regarding the idea of “just in case” self-protection the collective scenario makes a heck of a lot more sense to me. Thanks to you both for clearing up the confusion for me, and happy collecting! Sorry, but it looks like the eagle is pooping initials. Not a fan of what they are doing with proofs. The multilayered frosting is not for me. Nice design that we will not see in uncirculated. Those aren’t initials…that’s eagle poop for sure. Early settlers were not all of European decent. They were all of Asian decent. Europeans came thousands of years later. 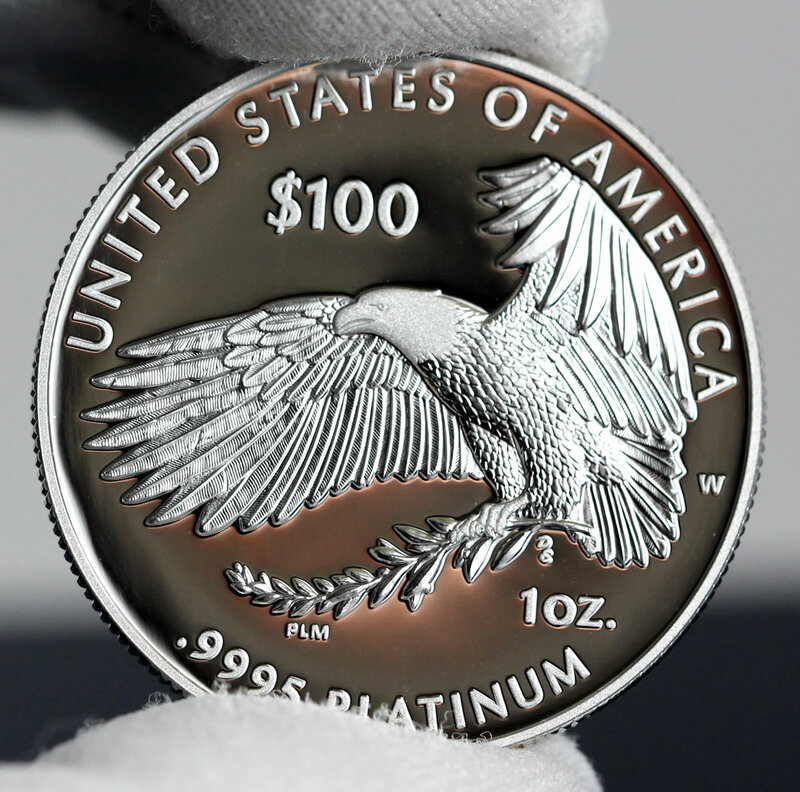 I agree with the general sentiment of most here….the reverse (Eagle) side is absolutely stunning. The obverse is pretty lame in my view. I’d really love to see this eagle design become the new American Eagle design if and when the US Mint ever changes that 30+ year old design. The US Mint would re-invigorate the weak demand for American Eagles with a new eagle depiction like the one we see on this coin. Old Collector – what’s up! I sea the kid of *lady *liberty sowing seed*s, that *sword is her share cropper* for all they have sowed*, in the big open field of crops in the background. *just*me*maybe. Hey!Mouse! go for the jugkala of yogi*bear with your pocket knife*, don*t miss! he’ll be real pissed, stand your ground lake *Dan *Boone. >Lomax>>>>>> look in the mirror, >UHIDEOUS< LOL!!!!!*peace*smile*all*. I guess you see value in uncirculated versions of coins – I don’t, myself. In my opinion they should stop making uncirculated collector versions of coins altogether. Back in the old days when mirror and frosted combinations didn’t exist, maybe, but not now. Looking at mintage counts proof is far the more popular and probably at least half of the uncirdulated are also bought by the proof collectors just to keep collections complete. 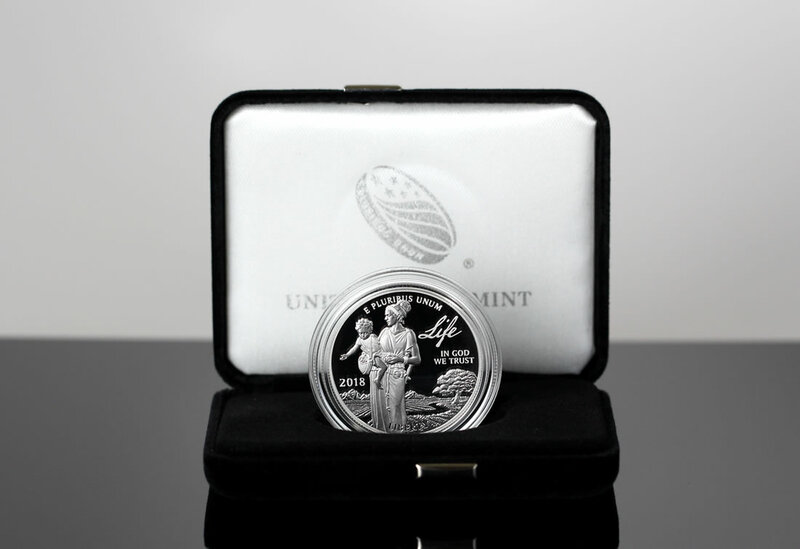 I wonder how many collectors would seriously object to the elimination of uncirculated coins. 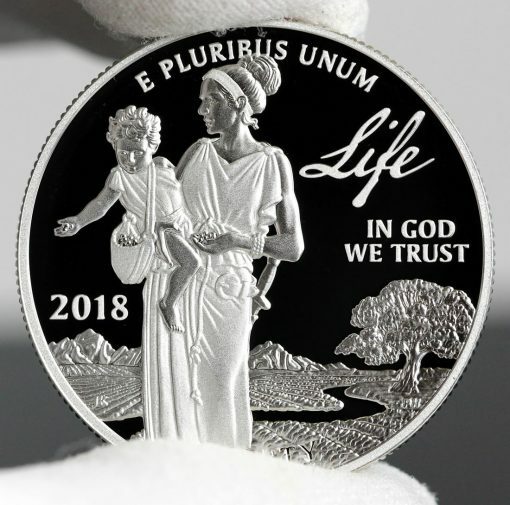 Truth be told, I far prefer the exceptional naturally beautiful depiction of Lady Liberty on the 1/10 ounce gold coin to the version of her as portrayed on the $100 Platinum “Life” coin, especially since the latter makes her look too much like a typical Aryan propaganda poster vision of motherhood. I’m happy to see you’ve got your ever-faithful and trusty bs detector running at full steam; high five! 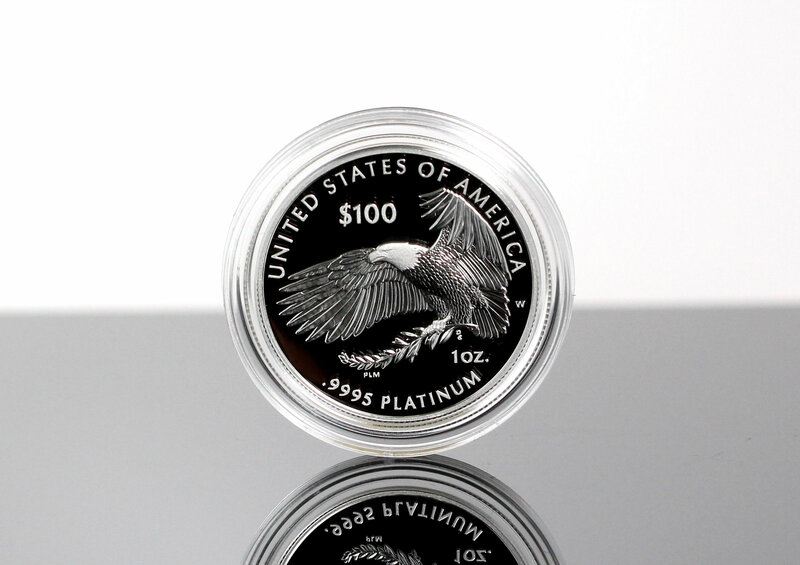 It happens more than just occasionally that an uncirculated coin or set of coins may end up being more valuable than the same-year proof version precisely because initially many more collectors and/or investors tend to purchase the proof version. As time passes the consequently scarcer uncirculated versions subsequently become the more desirable iteration of the coin/coins due to their having yielded lower mintage figures. Predicting future coin value is indeed a very tricky game. Mouse – You have no idea how happy it makes me to hear that you would vacate a bear’s territory long before you would even think about or consider doing it any harm. You’re a genuine scholar and a true gentleman! Mouse – your right! you did say knife not pocket knife, good choice *ka-bar – knife, made in *u*s*a* i, hope, they branch out overseas in past years, but they do still make here, for a small cost more. Nice brand tomahawk, good tace! same here tho! I’ll be a male*Loin*, for a grizzly, and go for the throat, to protect first or my last option for my cubs and their *den., always*like u* *Mouse to *Lion, & back again.smile*. i do be leave its all happening at the *zoo!woo!wOO!WOOO! jim – That’s a good question, and I have heard voices from both sides of that “divide”. Some collectors believe that only uncirculated coins are closer to being “real”, i.e., circulating, coinage than are proof coins, so that makes them more “authentic.”In fact, I have also heard this sort of disagreement regarding silver versus clad coins, regardless of whether they are proof or uncirculated. Some folks claim that since our circulating coinage is all clad now, so should be the collector grade coins produced by the Mint. As is so often the case when effectively you have as many discretionary opinions as there are people involved, each to her or his own. One thing that can be of reassurance to anyone who doesn’t like change…it’s pretty much the same now as it ever was, and most especially so since the clock is currently being wound backwards. I understand the argument about collector versions of circulating coins and I kind of agree with that. 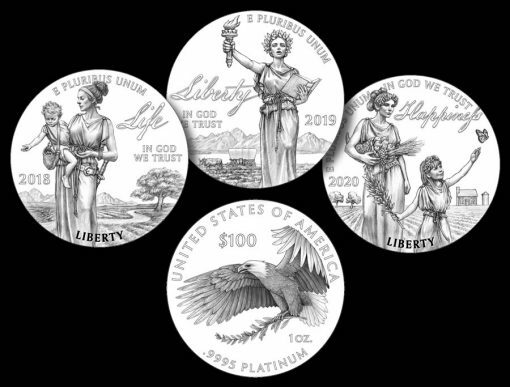 But we have the uncirculated coin set (due out in spring 2018 – and don’t get me started on why the mint can’t publish dates for the entire year) which satisfies this argument. All of the remaining coins the mint produces are not for circulation but for collectors only and do not fit the argument. 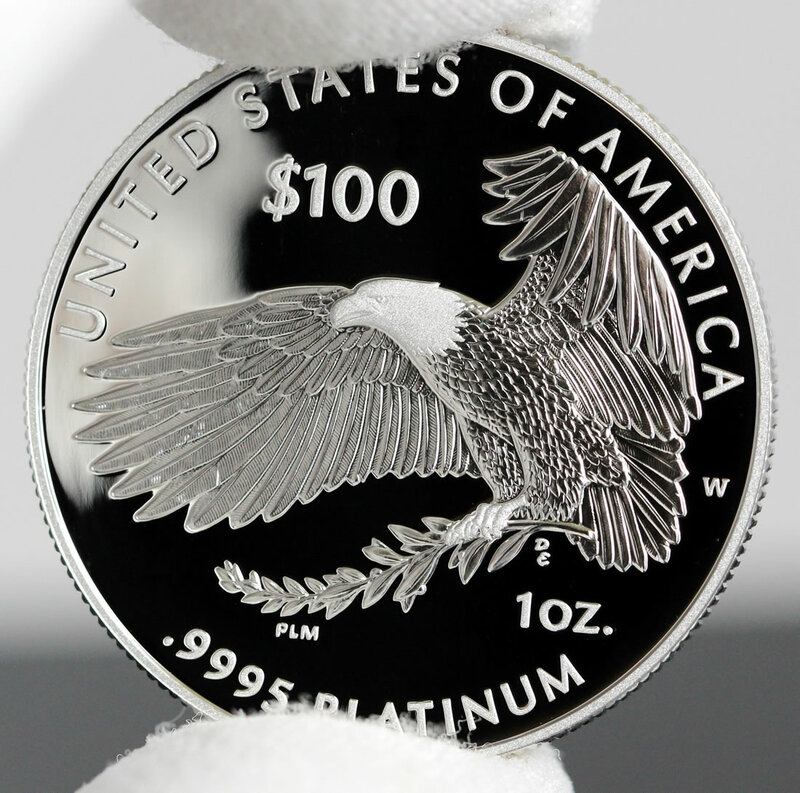 So why uncirculated versions of any of the other coins that are not “circulated”, especially silver eagle and commemorative coins (gold, silver and clad)? At least the gold and platinum (and palladium?) eagles don’t have uncirculated versions minted.